When you want warmth that will hold up its end of the cold-weather bargain, the Yorktown Featherless Jacket brings the trusted performance of your outdoor shell to a city-smart jacket. This jacket is made with state-of-the-art 3M™ Thinsulate™ Featherless loose-fill synthetic insulation that matches 700-fill-down in warmth and remains water-resistant in damp, cold conditions. 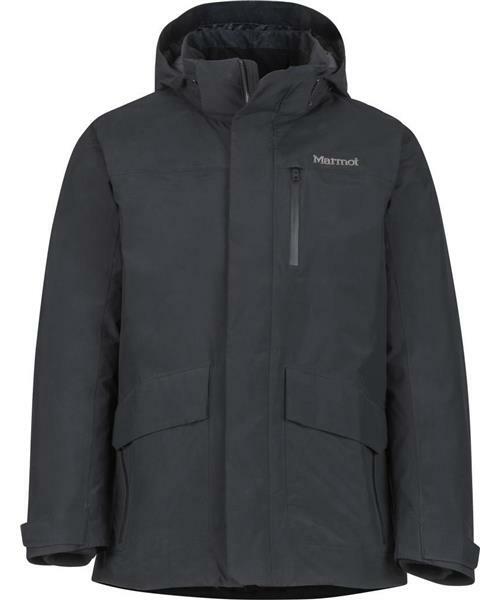 Sealed into Marmot's two-layer waterproof and breathable shell, this fully protective package features a variety of pockets, like a hidden flash pocket, and has comfortable additions like inner knit cuffs.